Nil Lara is a Cuban-American songwriter with Venezuelan roots who has just blown me away. I read about him recently on Matt Nathanson's celebrity playlist (of all places), sought him out, and immediately loved what I heard. Lara is soulful and passionate and sings like his heart is burning. Add in heavy doses of warm & layered Latin percussion, traditional Cuban and Venezuelan string instruments, and his soaring chants and vocals (in a combination of Spanish and English) - and I was hooked. It's been named by some "Number 2 on my list of Best Albums By People That 99.5% of the World Has Never Heard Of." His 1996 self-titled album was critically acclaimed, but never received the popular attention it deserves. As such it is kind of hard to find: It is on iTunes (but not eMusic), and you can find used copies on Amazon. I would completely go see him live, and surely dance myself sore, but he seems to be on indefinite hiatus. Download these, and buy the album, though - sheer fabulousness. Love you site - Nil is just awesome. He got some play and support on World Cafe. But the story I is that could never come to grips with leaving his child to go on the road. He had a messy divorce and never got part it. Not sure about the truth. But a friend had drinks with him after a show years ago and said he was a really cool guy. Yeah, a friend recommended him to me when the CD was released, so I sort of dumblucked into him. My personal favorites have always been "How Was I To Know" and "Fighting For My Love". By the way, I checked out Amazon, and apparently he released a CD in 2004. I would love to see - and add to - your list of best artists 99.5% of people haven't heard. I, too, had his first cd recommended to me and bought it. It's fantastic. Periodically, I'll do a web search for him. Looks like he has a couple other albums out, available through his website. But I've never bought one, of course. Nil - Saw him several times in the mid-late 90's. He was on one of the HORDE tours, also saw him do an industry showcase that was amazing. Really nice guy to boot. Definitely a World Cafe kind of artist - also heard him frequently on KSCA in LA.. Some of the earlier discs repeat songs on the Capitol album, but are different versions that are worth having as well. He lives in Miami, but haven't heard much recently about him, outside of the occasional appearance. One of my favorite video performances is of Nil on Sessions at West 54th where he rips through "How Was I To Know." Thank you for bringing him up. His website has two new releases available on it (and t-shirts). Google and ye shall find. BTW I Am Fuel is a wonderful use of the ether. Thank you. Heather... just stumbled onto your blog and first thing I read is Beatles tapes found, then a blurb on Nil Lara! Where you have been all my digital life! I've loved Nil Lara's stuff since they played a snippet of "Fighting for my love" on Scrubs like 6 years ago! You rock... I'll be reading this thing everyday! FYI - amazon.com has a few of his CDs (new) in stock and shipping through amazon as of 7/20/06. You *must* hear his song Amor en Ti which is off an EP called Cuatro (you've gotta order it from him). It's my favorite song EVER. He used to have a website but it's been down for several weeks. I hope not permanently!! He's my favorite singer!! Hey . Nice site. Anybody knows where to find chords to fighting for my love? wow...i just linked to your blog from someone on a forum somewhere out there on the interwebs. 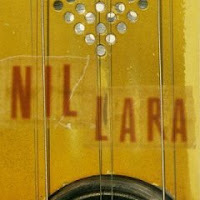 i had this nil lara album and loaned it to someone way back when...it was so good...but i never got it back. there was a radio station in L.A. that played his music back then (KSCA) but it has since gone the way of the dodo. thanks for putting this song up on your end-of-the-year recap. so good. Finally, Nil is playing!!! It's gonna be great for those lucky enough to be in Miami Feb 1. 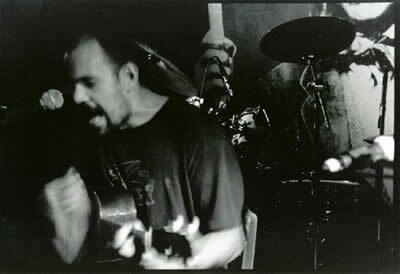 Nil came to the Fox Theater in Boulder, CO back in 1996 while on the tail end of his HORDE tour (blues traveler, big head todd, dave matthews). He played to a full house and I was lucky enough to get a copy of Baro and Bleeding from the show that night. He is an amazing live performer and I will be happy to share the tracks with anyone interested. The sound quality is decent and you can sense the passion in his voice and guitar playing. He has not been back to CO since that time...damn it! Nil Lara will be playing again unplugged next april 5th at the transit lounge. Last performance was magical. What a talented performer, what soul. I Like your blog. It's really interesting! Keep on keeping on! Keep posting the dates - I'm in SoFl and no idea Nil was playing again - haven't seen him since Sunfest! yes, Nil is legend...a very mysterious character indeed! Nobody could ever quite figure out why he didn't continue on the path he was on...he didn't seem to do many interviews, either, so who knows? I was lucky to see him back in the old days in Miami...saw him one year on New Years' Eve when he came out wearing an Eastern Airline's mechanic outfit! That was a night of music that I'll never forgot- what a party! What an incredible performance!Anyhow, Nil, if you're reading this, please keep playing and creating music...thanks for giving the updates here on this blog...I'm in Phoenix currently but hopefully the next time I visit my brother in Ft.Lauderdale you'll be playing somewhere! Take care! hopefully the trend continues! I guess stay posted to this thread for details! Thanks to whomever keeps posting them. Is Nil playing anywhere else in the upcoming weeks in Miami?